If you’ve been living with a missing tooth or are worried about the integrity of your remaining teeth, you’ve probably already done some thinking about dental implants. Dental implants are artificial teeth that are attached to a framework that is implanted into your jaw so that the bone eventually fuses with the metal implantation device. This creates a secure base on to which artificial teeth can be screwed. Dental implants, unlike bridges or crowns, do not damage the surrounding teeth. Actually, they ensure the continued structural integrity of your teeth and jaw, as gaps in your smile can invite bacteria and bone loss the longer you remain without all of your teeth. Although there are different types of dental implants, each carrying their own specific costs, the overall costs for dental implants are quite high. In fact, one single tooth replacement can run upwards of $3,000. However, many people are willing to pay the fees because they’re so secure. You’ll never feel like your dentures are falling out, even if you’re chewing, laughing, or smiling broadly. Dental implants are a long-term investment as they can last a lifetime if they’re well-maintained. However, there are many different types, depending on your needs, so consult your dentist today to see which option is right for you. The two different types of dental implants that are the most frequently used by dentists today are conventional implants and mini implants. Conventional implants are the standard used in most situations. A post that ranges anywhere from 3.5mm to 6mm in diameter is inserted into the jawbone, then allowed several months to heal, during which time the implant fuses with the jawbone. Then, a little metal piece called an abutment is used to connect the artificial tooth to the implanted post. Conventional implants require that the patient’s jawbone remain strong enough to support the implant, which is why some people who have experienced bone loss chose mini implants instead. There are many positive aspects to choosing conventional implants over mini implants. Conventional implants are much more secure since the post that attaches to the jawbone is larger, so the risk for implant failure is much lower. 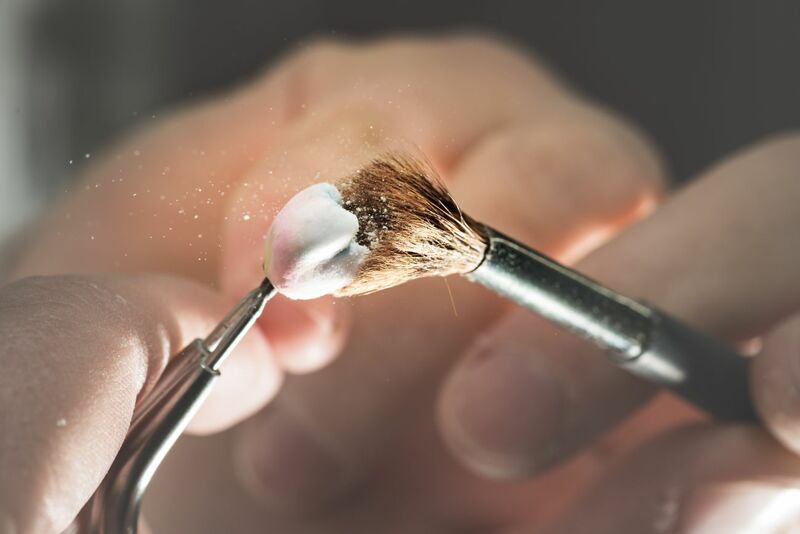 Many dentists are moving away from using mini implants, citing research that has shown that they do not provide the same long-term stability and support as conventional implants. If you’re looking to replace a single tooth, rather than support a bridge or set of dentures, most dentists feel that there’s no better option for natural-feeling, stable artificial teeth than the conventional implant. One of the major differences between conventional implants and mini implants is that conventional implants typically take longer to insert, and the procedure is much more invasive, typically requiring stitches. For some people, this is a major deterrent. If a conventional implant is best for that patient, there may be some necessary procedures like bone grafts and sinus lifts that need to be performed first in order to stabilize the jawbone, which are expensive and require months of healing. Conventional implants typically cost more at the outset than mini implants, because they’re larger and require more appointments to insert. However, due to their larger size, conventional implants are much less prone to implant failure, which means that once your implants are inserted, you’ll need periodic checkups, but they should never need to be fully replaced. The New York Times found that the cost of a conventional single tooth implant ranged from $3,000 to $4,500 depending on the situation, as well as the attending dentist’s level of experience. The other type of dental implant that’s available on the market today is the mini implant. 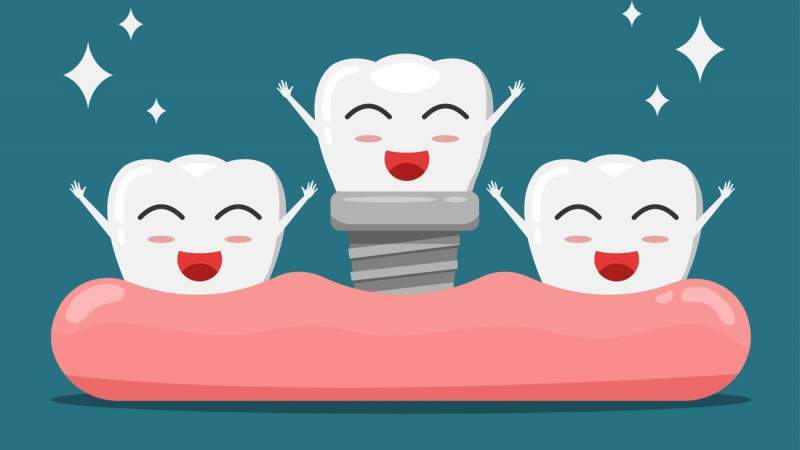 Unlike the standard dental implant, which comes in three different parts (the implant post, the abutment, and the artificial tooth), the mini implant only has two pieces: the abutment and the implant post are crafted in one piece, and the artificial tooth is later inserted on to the top. Mini implants are available for people that may not have enough bone left in their jaw to support a conventional implant post. Due to the smaller space to work with, mini implant posts are typically only 2mm to 3.5mm in diameter. If you’ve already experienced significant bone degeneration, then you may be eligible for a mini implant as opposed to conventional implants. Mini implants are available to people who otherwise would not be candidates for dental implants due to ongoing bone loss. This is a positive for people with bone loss who do not wish to undergo the bone grafts or sinus lifts that would be required to support a conventional implant. Many people also say that the placement of mini implants causes less pain than conventional implants and requires fewer visits to the dentist. Mini implant posts can be inserted over the course of one visit, and that procedure generally doesn’t require sutures. One of the negative aspects of mini implants is that because they’re smaller, they hold less tightly to the jaw bone, and are more prone to instability and implant failure than conventional implants. They can also be moved or shifted by someone who is prone to teeth grinding or clenching. This habit, which is called bruxism, can put a strain on both real and artificial teeth, and mini implants may not be strong enough to withstand the continual pressure. Mini dental implants generally cost less money per tooth than conventional dental implants because they are smaller and use less material. However, many people use multiple mini implants to support a larger restoration, so it is possible that your costs over time will add up to a larger sum than if you had been able to get conventional implants. All costs are dependent on your dentist’s experience and personal fee schedule. Dental implants are a form of dentistry that involves implanting a metal surgical component into a patient’s jaw in order to have a safe and secure place to fix dental prosthetics. Once the framework is implanted into your jaw, your dentist can secure a crown, bridge, or dentures on to the metal post.